Rebecca Stern is an artist living and working in Stamford, CT. She graduated with honors at Lesley University College of Art and Design in 2009. Her work has been shown in a number of private collections and she has participated in solo and group exhibitions across the country for over 10 years. 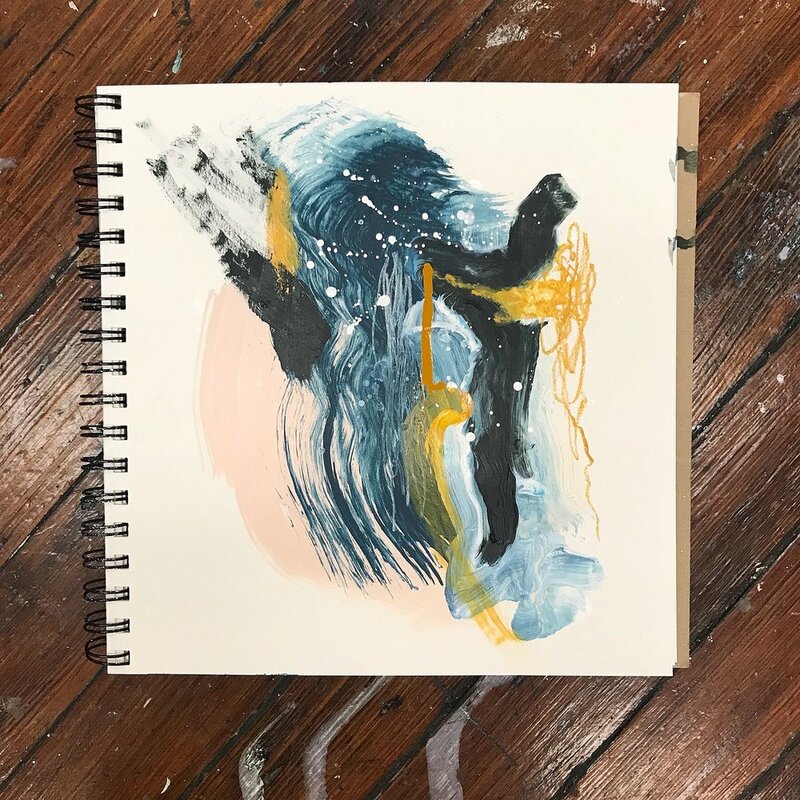 Rebecca uses acrylic paint, collage, and drawing materials to produce her abstract work. She considers each piece a "mental landscape" that investigates the complexities of the mind. 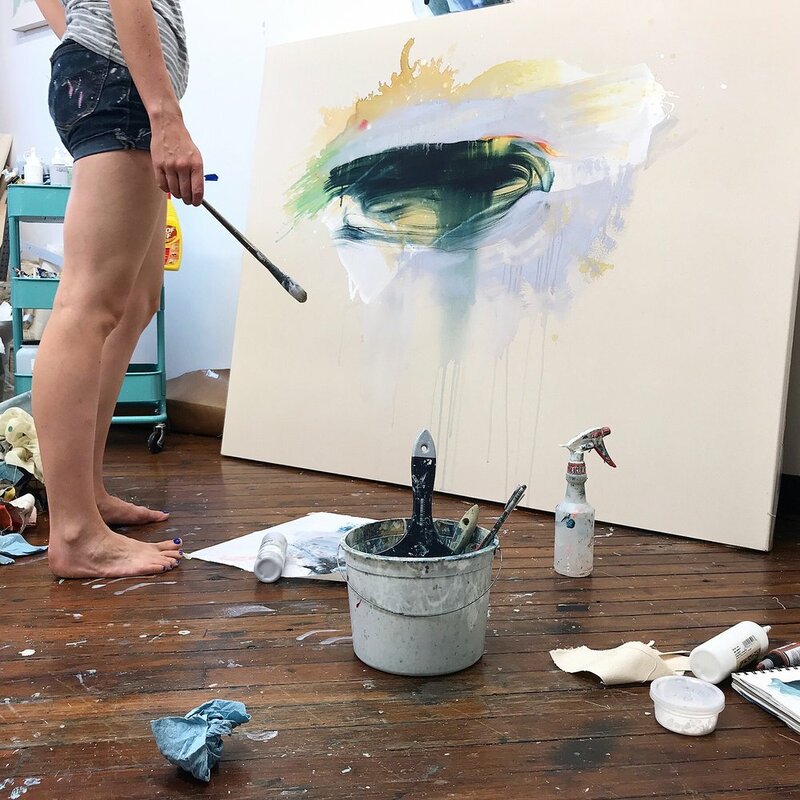 She is intrigued by the juxtaposition of intentionality and expressive freedom that exists within the materiality of different mediums and the process it takes to find a balance. I externalize my internal monologue into a visual narrative. In the studio, I am in control. Regardless of what else might be going on in my life or the world, I paint, collage, stitch, and construct materials. My aim is to understand the relationship between my existence and the events that take place around me. I create a “mental landscape” to explore themes of intrinsic motivation, control, chance, change, and balance. 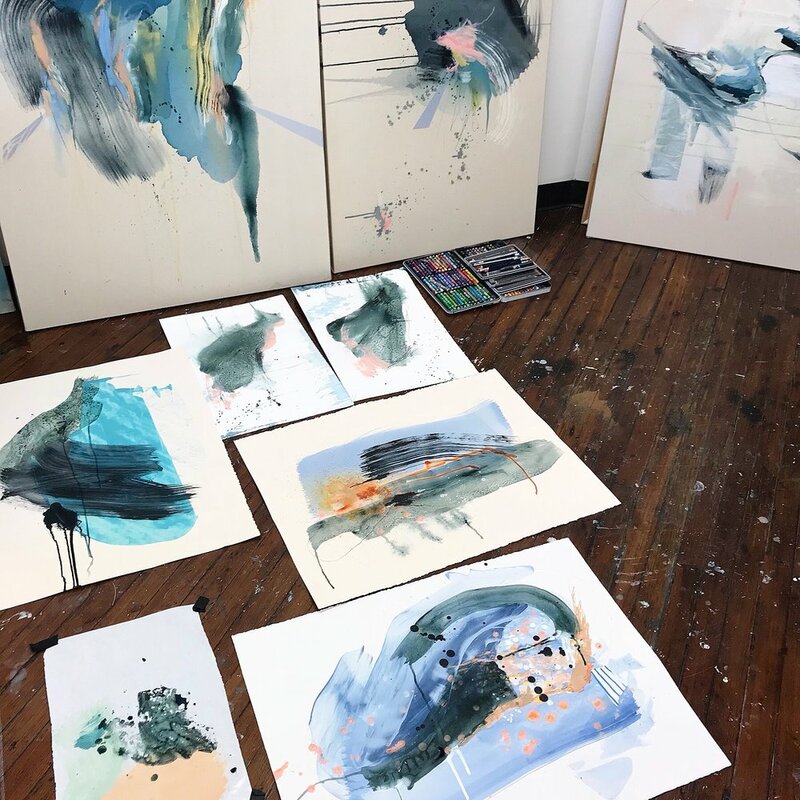 Gestural marks produce a visual depiction of thought patterns illustrated through repetition, texture, juxtaposition, color and negative space. Manipulating materials in my studio assists me in mitigating the fact that I can’t control what goes on in the day to day. I’m on a journey towards accepting what is. It is this fact that brings me back to the studio again and again.